What Can Invisalign Lite Do for My Smile? There are quite a few different treatment options for those who wish to straighten their teeth. Invisalign is a fantastic option, but there are a few different kinds of Invisalign that can be selected. Invisalign Lite is best suited for correcting intermediate and minor orthodontic issues that might be present in your mouth. Although it’s a “lite” version, it is still able to move all of your teeth to more desired positions. The other treatment plans through Invisalign are Invisalign Full and Invisalign Express. Invisalign Full can treat more severe cases while Invisalign Express is best suited for correcting very minor issues. Invisalign Lite is best suited for correcting mild misalignment of your teeth. Malocclusions (misalignment of teeth) have many different causes ranging from crowding and overbites to underbites, and crossbites, and most of these problems can be fixed via Invisalign. Your candidacy for Invisalign Lite depends on the severity of your situation, but should your orthodontist approve you for this treatment, it’s an excellent option for you. Invisalign Lite is typically less expensive than Invisalign Full since the treatment isn’t as extensive, and the desired results will be achieved in a shorter amount of time. Invisalign Full treatment can take anywhere from one to two years, while Invisalign Lite treatment generally only lasts from four to eight months. Nothing tops fast and affordable when it comes to achieving your best smile! Brushing and flossing with any of the Invisalign products is easier than having to clean braces. Aligners can be removed to be thoroughly cleaned, and teeth have nothing obstructing them, so you can clean those thoroughly as well. Invisalign also allows you to eat and drink whatever you want because your aligners are removed before each meal, then replaced after you are done. Invisalign Lite is an excellent option for those who have a smile that’s not bad, but could be improved. Minor issues that you have had your whole life can now be fixed without having to get a mouthful of braces. Your self-esteem will be through the roof once you get those misaligned teeth straightened out, and teeth that are correctly aligned are more likely to be healthy and cavity-free since they’ll be easier to clean. 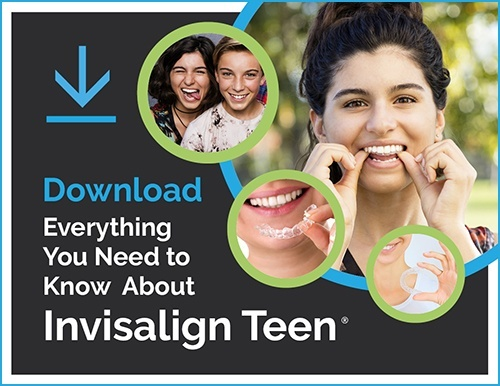 If Invisalign Lite, or any of the other Invisalign products, sound like something you might be interested in, don’t hesitate to ask your orthodontist about whether or not you’re a good fit. After an initial exam that generally includes x-rays and digital imaging, your orthodontist will be able to tell you if this type of treatment is right for you. The smile of your dreams is just around the corner, and it will make your confidence soar and improve your oral health. If you have questions about Invisalign or braces, or if you would like to schedule a free consultation with Dr. Milnor and our staff, give us a call at (970) 230-3228.